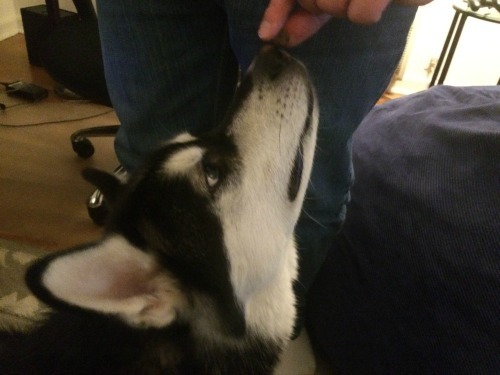 Sometimes finding the perfect food and treats for our dog isn’t easy. Even though Reya likes a lot of table scraps, it’s sometimes hard finding a dog food that she really loves, especially when she starts getting sick of her own food and wants something ‘different’ mixed in with her normal dry food. One thing she has always loved is Bil Jac’s high quality food and treats! When she saw Bil Jac sent her treats to try, she was very excited to get into the bag and see how they were for herself! Looking for an affordable, awesome food that is perfect for most dog owners? If so, we think you will love Bil Jac’s Adult Select Formula. This is specially formulated with the nutrients adult dogs need to stay healthy. Best of all, the number one ingredient is real chicken! In each 30-pound bag of food, 25 pounds of real chicken was used to make the food, which was then slow cooked in batches to get the most nutrients and best taste possible for your favorite dog! All of their foods contain no fillers, gluten meals, wheat, soy, or sprayed-on rendered fat, making sure your dog has great food to keep them happy and healthy! Each batch is also made in the USA! You can tell this food is made by people who really love dogs! Want to treat your dog during an early walk or breakfast time? Make their morning even better with Bil Jac Breakfast Jacs! These treats are made with three key ingredients that will drive your dog wild – Chicken, egg, and cheese! Like all their food, the main ingredient in these treats is chicken. and they are perfect for morning training runs! If you are wanting a treat once you get past breakfast, however, you can’t go wrong with Bil Jac’s Original Recipe Dog Treats. These chicken and chicken liver treats drive dogs wild, making treat time and training even more fun! Want to purchase some of this great food for your own dog? 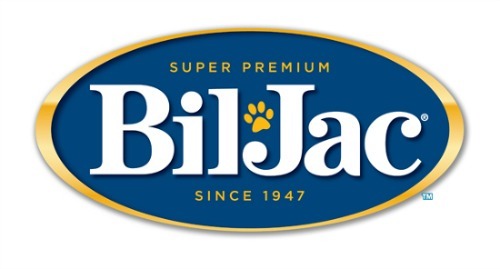 See where Bil Jac food is sold near you using their handy store locator! I love that it is made in the USA. I know Sorcha would love this brand. Thank you for the review. I’ve never heard of this brand before. My dog needs a different dog food. The ingredients label doesn’t look as bad as some other dog foods. Thanks for the information. I would love to try this brand with my dogs. They are the luckiest eaters on the planet. I don’t think I have seen this brand before but the food seems ok, it sort of reminds me of pellets what you feed gerbals or something loll but hey if the dog likes it and its healthy for them , why not.. The way I see it if you don’t think you can eat it then its not good for the dog…………. Made in the USA is perfect! My dog Josie would love the treats and food; chicken is one of her favorite foods. With all these natural ingredients, etc. it sounds like humans can survive on these products! Since our dog & cat are part of the family, our dog would deserve food like this!! Ranger is such a treat lover! He thinks he needs treats whenever we eat or drink anything. I don’t tend to give my dogs treat due to bad ingredients but this is something I will be willing to give my dogs! I LOVE their Farmers Bounty collection. While this food is great, it doesn’t hold up a candle to their Farmer’s Bounty line IMO. Its a bit pricy but high quality and our dog absolutely LOVES it! I have a review from back in November or December when the food first came out. I have not tried these yet but they look like there would be a great product for my pugs. The love treats and I would like to try these and see if they like them and consider them for my puggies. Thanks for the opportunity. 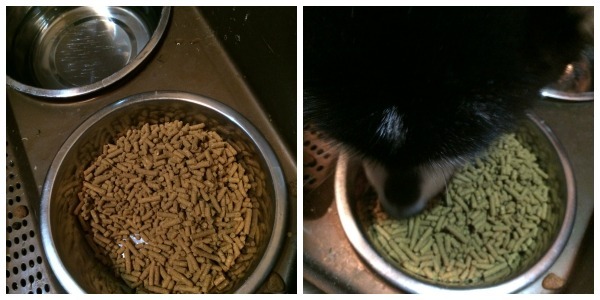 My guys are not very picky when it comes to dog food or treats and prefer duck or chicken. These would be perfect for them! Natural and safety food always. I wanna try this brand! I like the size of the food because I have a Yorkshire Terrier and most of the food is too large to get his mouth around. Pepper is very picky in his tastes but I will try it as soon as It gets sold in my area. My dog has never tried this brand before, but I’ve seen it in the stores. Sounds like healthy ingredients! Wow this incredible both my dog would love this kind food. I haven’t seen in the store where I live at in a small town don’t have that many place choose from. I have heard a lot about this brand but never tried it. I love Dyson products! I have the roller vaccum and the fan with no blades and they are both great! I would love to try these. My little guy has seizures and so it’s tricky trying to find what he can and can’t eat. Will def give these a go however! When I had a cat there was a certain treat that he loved. I could just shake the bag and he’d come running and purring. I used to get a lick out of that. Ahh reading this article makes me want a dog more. Yeah I don’t have a dog hahaha. I don’t have dog, but if I have, perhaps, I wanna try this product. I used to buy this brand a long time ago. I want to start trying it again. My dog loves this brand. It is the only type of food he will eat. What a spoiled little doggy! Finding the right dogs’ food can be quite a task, that’s why I always buy the “fun” size of a new product, so if the animal doesn’t like it, I don’t have additional waste. I also take my time reading reviews like yours so I can buy products with more confidence. Sound really nice and productive. My dogs will love this treat. I’m happy to know that I will be feeding them something healthier this time. I’ve never heard of this. It looks really good. This sounds like a great dog food. If I had a dog I would check it out. Do you give samples? this food might be a little to big for my doggie. This is great, our pets are part of the family so they need to be feed like family. Love that it’s made in America a big selling point for me. My animals will love it. I don’t have a dog but I will share this post with my cousin who has 2 German Spitz. I should get some off these for my German Shepard and my Japanese Akita. They will absolutely love to have this, and at least I know what’s inside these treats. I’ve never even heard of this brand. But it looks like your doggy really enjoyed the review! Wow, my friend’s dog really does not like the food he eats. I will tell my friend about it so she tries it. I don’t have dog, If I had a dog I would check it out.